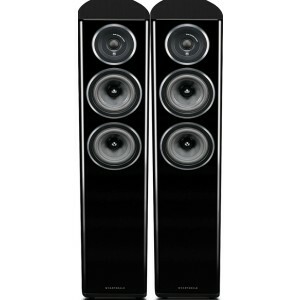 This room-defining model is the most compact floorstander in the Diamond 11 Series, sitting below the 11.4 and 11.5. The 11.3 is defined by its sophisticated curved cabinet. 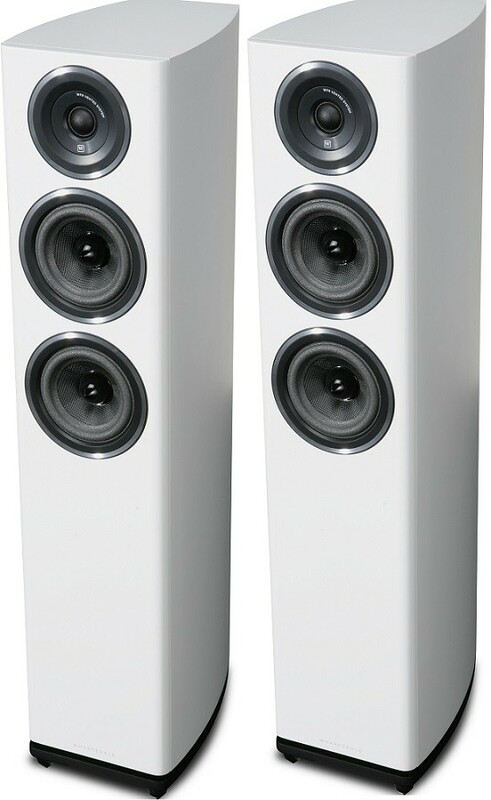 Wharfedale Diamond 11.3 Speakers (Pair) are the smallest floor standing model in the brand new Diamond 11 Series, sitting below the 11.4 and 11.5 models. The 11.3 encapsulates the accessible yet high-performing spirit of the Diamond 11 series with its upgraded driver system and improved crossover integration. After much global demand, Wharfedale has reintroduced the curved cabinet design from the earlier and much-loved Diamond 9 and 10 series to create a sleek and sophisticated aesthetic. The latest line of Diamond speakers includes design elements that belies its affordable price points. Wharfedale’s engineers took a clean slate approach to create a loudspeaker system that would once again enliven the affordable sector of the hi-fi market and bring high-end sound performance – and style – within reach of a wider number of music lovers. Wharfedale’s engineers use a highly evolved virtual crossover software system to help create a series of circuit options for combining the bass/midrange and treble units as smoothly as possible. They then evaluate these circuit options using thorough listening tests over numerous months and involving an array of music. Once they have settled upon the final circuit strategy, the design team delicately enhances the crossover component values, the type of components and the circuit board layout in order to achieve the most accurate, nuanced, and, above all, pleasurable musical performance as determined by the listening tests. The makers pay special attention to the tangible and human qualities of vocals and natural instruments, as these often prove to be the focus of many listeners’ subjective opinion of a loudspeaker’s performance. Attention to fine details paired with excellent technical design provides Wharfedale Diamond speakers their enduring appeal in the affordable sector of the hi-fi market. The cabinet walls in the Diamond 11 Series are crafted from a sandwich of woods of differing density, ensuring an impeccable standard of finish and next-level acoustic characteristics. The brand's iconic curved cabinet walls enhance acoustic performance as well as the speakers’ divine aesthetic qualities. Bass loading via an improved version of Wharfedale’s slot-loaded distributed port ensures bass loading which creates a deeply articulate and closely-integrated bass free from unseemly ‘chuffing’. Most drive units in affordable speaker systems are built according to price, whereas Wharfedale stuck to the belief that Diamond drivers should be aimed at performance. As a result, the Diamond 11 Series enjoys advanced driver systems that involve features and components that usually are only evident in high-end loudspeakers.